We are proud to announce that Team Adem”s Blood Donation Community made a lifesaving difference to 18,420 Australians throughout 2018. We would like to sincerely thank & congratulate all our blood donors, team members and supporters for this fantastic achievement and for your continued support and efforts. 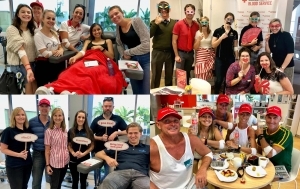 Since 2013 we have now helped 78,000 Australians who require blood products. Well done everyone.